Coastal Carpet Cleaners did a wonderful job on the flood damage restoration and carpet shampoo of our rental property in Torrance. The old tenants were disgruntled when we asked them to leave and decided to turn on all the faucets and block up the drains before they left. Luckily we got there before major damage was done to the walls but the carpets and rugs were saturated. Coastal came right in and did all of the water extraction and carpet deodorizing (which by the way not only solved the mold smell that was starting to develop and the existing pet odor removal problems but instead left the carpet smelling fresh). Their steam carpet cleaning methods even achieved some miracle carpet stain removal at the same time! Their area rug cleaning saved our rugs! If you are in need of commercial or residential carpet cleaning and looking for green carpet cleaners that care about our environment and getting you results, call Coastal! A super job. 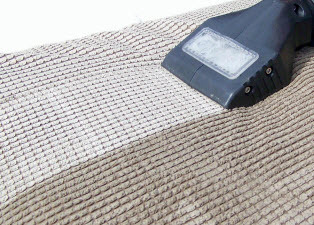 Coastal Carpet Cleaners are always on time and very affordable. The green carpet and area rug cleaning is done in a professional manner that gets results with minimum disruption to our busy family and with minimal impact to the environment. The cleaning technicians are very polite and friendly and work quickly. We are also enjoying the refreshing fragrance throughout our home, especially after the smelly flood damage smell that we were living with after we got home from our vacation and realized our water heater had burst, flooding the whole living room that butts up to the garage while we were gone. Coastal did an emergency water extraction and shampooed and deodorized our carpet to get rid of the moldy smell that was starting to develop. We plan to call again soon for a thorough tile and grout cleaning of our kitchen and bathrooms. Two thumbs up! 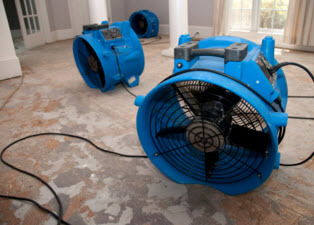 We needed an emergency carpet cleaner that could come in and do the flood damage restoration in the ground floor of our home. We called around to a few residential carpet cleaning companies and Coastal Carpet Cleaners won out based on their great reviews and green carpet cleaning methods. We went from quote to cleaned in no time! They did a quick job on the water extraction and then got to work on the carpet and area rug cleaning. They even managed to achieve some spot removal on our upholstered sofa and some pet odor removal that we had been dealing with for quite some time. Woody was awesome. He was friendly and experienced and very personable. We will definitely call again and recommend your business to anyone looking for residential or commercial carpet cleaners! I moved in to my house last week and needed all the bedroom carpet cleaned out. I called in and made an appointment with woody. Nice and friendly customer service. Woody, he gave me the earliest appointment for 9:00am. They showed up on time, the work was fast and clean and the price was as he quoted me over the phone. Thank you for a great service. "A super job. 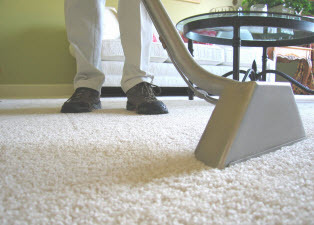 Coastal Carpet Cleaners are always on time and very affordable. The green carpet and area rug cleaning is done in a professional manner that gets results with minimum disruption to our busy family and with minimal impact to the environment." "Their steam carpet cleaning methods achieved some miracle carpet stain removal. Their area rug cleaning saved our rugs! If you are in need of commercial or residential carpet cleaning and looking for green carpet cleaners that care about our environment and getting you results, call Coastal!"